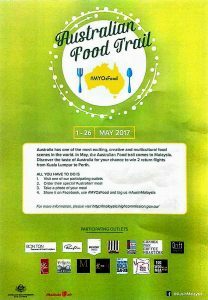 Those who enjoy the taste of Aussie specialties will welcome the Australian Food Trail, launched at Breakfast Thieves in Bangsar, Kuala Lumpur on 4th May 2017. The food lovers festival, which runs until 26th May, features fourteen leading Malaysian restaurants and cafes. They’ll be showcasing their interpretation of Modern Australian cuisine. 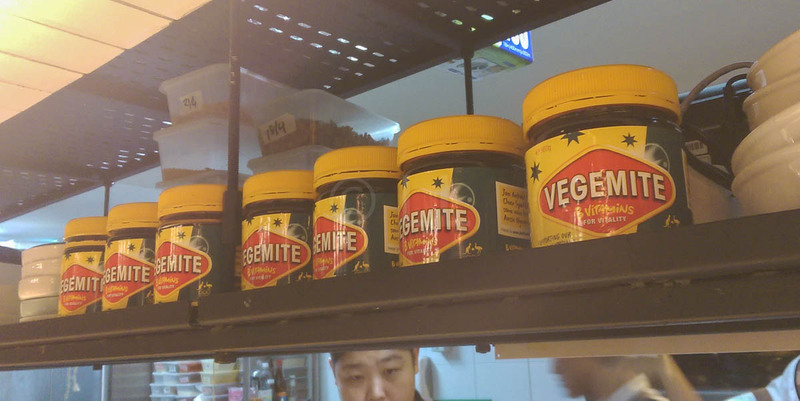 As all the participating restaurants have some connection with Australia, you can be sure what is on offer is authentic. If they’re not Malaysians bringing Aussie influences home they may well be Aussie expats identifying a niche in Malaysia. Equally, they may be chefs responding to Australia’s reputation for fresh, safe and sustainable produce. This produce will feature in their gastronomic creations. As ‘foodies’ from any part of the world will know, travels to a different country usually revolves around a food trail of some description. Australia has certainly earned its reputation as a foodie hotspot with some of the world’s best restaurants and innovative cafes. Some of these participating venues will also offer their own special promotions during this time. Not all the restaurants are in Kuala Lumpur. 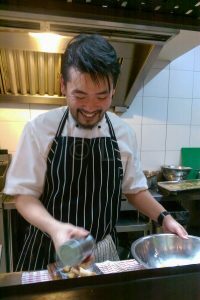 There’s Indulgence Restaurant & Living and Burps and Giggles in Ipoh, China House in Penang and Bon Ton in Langkawi. 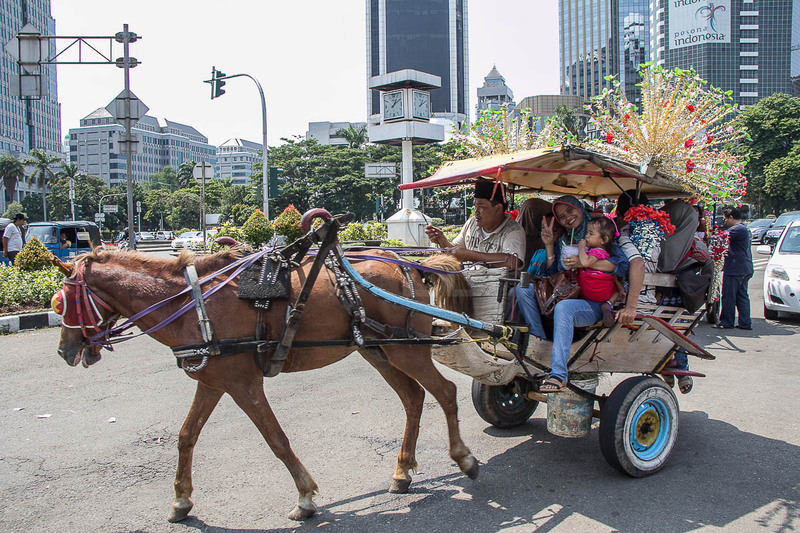 Kuala Lumpur and surroundings offers the widest selection. Why not visit Drift Dining, Enak KL or Marble 8 in the City? try Bonfire, Toowoomba Deli and Meats or Common Man Coffee Roasters in the Taman Tun.Damansara area. Not far from the launch restaurant, Breakfast Thieves, you can find Ruyi & Lyn and Southern Rock Seafood Restaurant in Bangsar, or The Red Beanbag in Solaris Dutamas. Everyone loves the chance to win something and you won’t be disappointed with either the entry criteria or the prizes for this one. One of the prizes is two return economy tickets from Kuala Lumpur to Perth sponsored by Malindo Airways Sdn Bhd. All the Competition details are available on the link. And yes, you do have to eat an included dish in at least one of the restaurants, but that’s a bonus because you’ll enjoy good Aussie food. 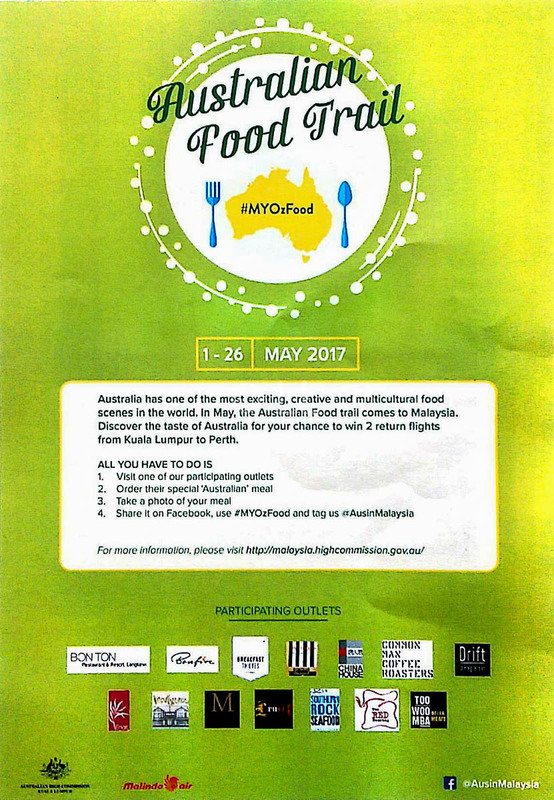 The Australian Food Trail is organised by the Australian High Commission, Malaysia, in celebration of Australia’s exciting, creative and multicultural food scene and the strong people-to-people links between Australia and Malaysia. Facebook updates are regularly available through the month as well. Gypsy king-beetroot & citrus cured salmon with crisp rosemary polenta cubes, green pea puree, garlic-yoghurt, mixed mushroom. crisp kale & poached eggs. Leprechaun-crisp sweet com & zucchini fritters with beetroot puree, cauliflower mousse, buttered corn, honey-confit carrot & poached eggs. Mr Terri Benedict-24 hours braised-shredded beef cheek in Sarawak crushed black peppercorn. 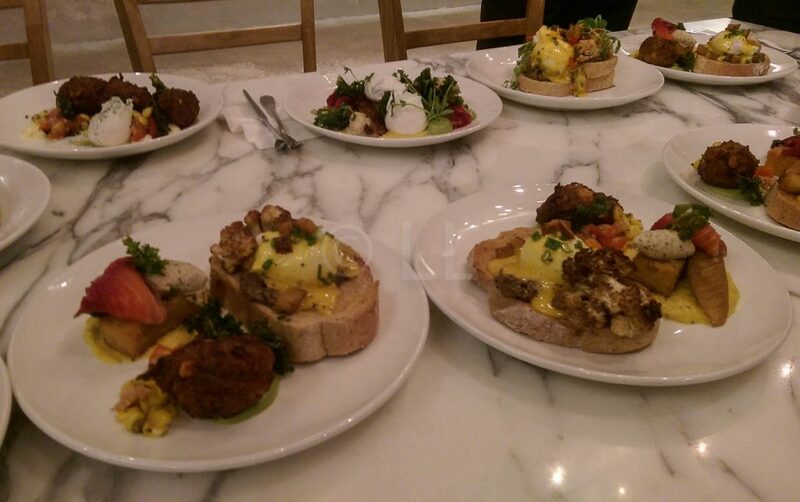 Served with charred cauliflower, crisp patatas, poached eggs with burnt butter hollandaise on toast.